This durable little organizer has pockets and dividers galore. Great for portable quilting supplies, office supplies, baby things, or whatever else you need to have easily but tidily to hand. Purchase all your supplies (see below). Cut and label all pieces with labels provided in the pattern. Sewing machine, cord, and pedal. 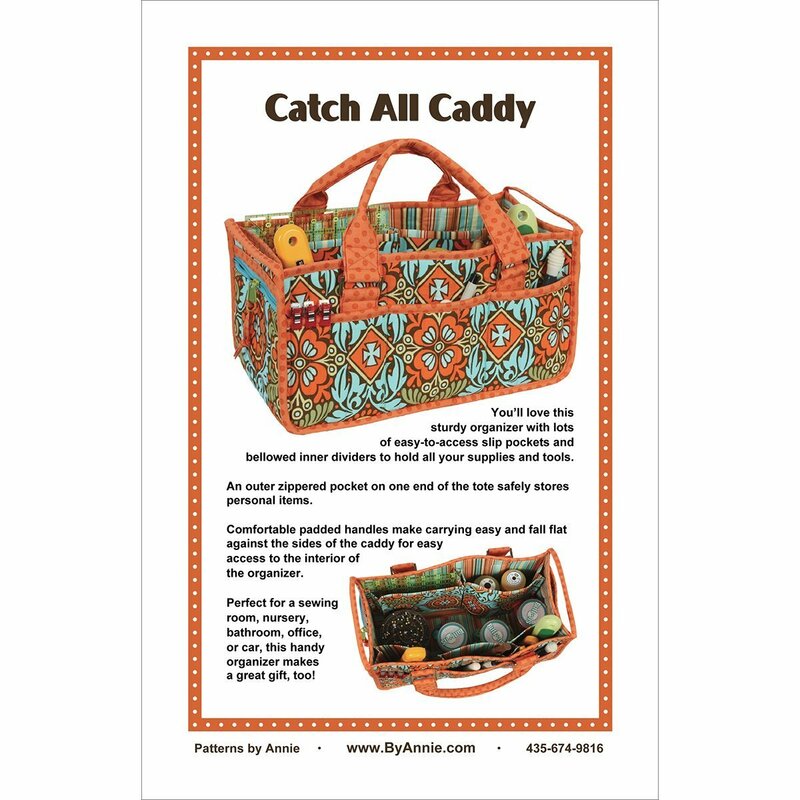 Catch All Caddy pattern (available at Heavenly. 1 yd. main fabric (avoid directional fabric). 18" x 58" Soft & Stable. 10" x 25" mid-weight fusible interfacing. One 9" or longer single slide zipper (handbag-type zipper preferred). Four 1 1/2" metal rectangle rings. 6" x 12 1/2" piece of Plaskolite, foam core, or heavy cardboard. Instructor Bio: Nancy Wagner, sewist extraordinaire.